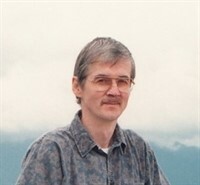 Voytek Gagalka was born in 1952 in Gdansk (Poland). He attended Frédéric Chopin's School of Music in Gdansk (instrumental faculty), obtaining diploma there in 1972, and between 1976 and 1981 worked as percussionist in the Baltic Opera Orchestra. He immigrated to Canada in 1982. Drafts of his first compositions were created starting from 1986 with help of early computers ("Amiga 1000" and its "Music Studio", later "Amiga 3000" and various MIDI sequencers). Those earlier works were later improved, rearranged and some of them also orchestrated. During season of 2011 and 2012, his biggest task was in restoration of music of Ernest Reyer's early operatic hit, nowadays completely forgotten (or ignored) opera - "La statue," first arranging it as piano sextet (recording available at IMSLP.org) and then orchestrating it anew. See 'Contact' menu for various links to Music Channels on YouTube and SoundCloud containing his uploads of full length music beyond included samples on these pages.